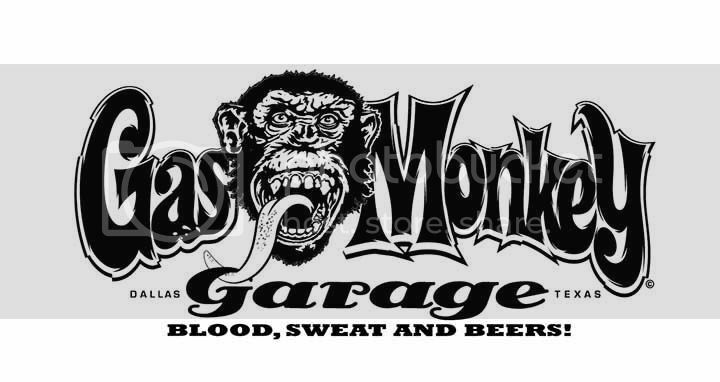 Indianapolis, IN (February 2015) – GreenLight Collectibles, a premier manufacturer of authentic die-cast replicas, is revved up to announce their new licensing partnership with Gas Monkey Garage. Branded Gas Monkey Garage die-cast vehicles will be featured in a variety of scales and formats, starting with Greenlight’s 1:64 Hollywood Series. The license agreement between Gas Monkey Garage and Greenlight was brokered by Gas Monkey Garage’s exclusive North American licensing agent, Brandgenuity. “It’s every legacy car builder’s dream to see their models recreated into die-casts that everyone can own,” said brand owner and motor mastermind Richard Rawlings. “We know these models will be just as badass as the originals.” Gas Monkey Garage, known for turning rust to gold, has become famous from the hit television show Fast N’ Loud on the Discovery Channel, along with a huge and passionate social media following, Fast N’ Loud has been the most popular show among men airing on Monday nights. Each replica is produced in a clamshell package featuring 100% die-cast metal body and chassis, real rubber tires, the highest level of detailed body decoration, painted engines and custom license plates. All cars are officially licensed by the respective automobile company. Gas Monkey Garage is an automotive restoration shop in Dallas, TX, that is featured on a hit reality TV show. Owner, Richard Rawlings, and master mechanic Aaron Kaufman, find abandoned classic cars dating back to the 1920s and bring them back to life and back on the road. For more information, visit http://www.gasmonkeygarage.com/ and follow @GasMonkeyGarage on Twitter. Brandgenuity LLC is a leading independent brand licensing agency based in New York. The agency was voted Licensing Agency of the Year by a leading industry publication and is ranked amongst the top 20 Licensing Agencies worldwide. Brandgenuity extends famous and iconic brands into new categories to build awareness and generate incremental revenue. A full suite of licensing services includes strategic licensing planning, prospecting, legal support & contract negotiation, retail development and assisting manufacturers in the strategic acquisition of licenses. The agency’s clients include Stonyfield, Church & Dwight (ARM & HAMMER, OxiClean, Kaboom), Energizer Personal Care (Banana Boat, Hawaiian Tropic, Playtex), A&E (Duck Dynasty) and HISTORY (Swamp People), Winnebago Industries, Gas Monkey Garage, The Boppy Company, MGM Studios (Pink Panther, Rocky, Vikings, Fargo), Pella and World Poker Tour, among others. For more information please visit us at http://www.brandgenuity.com.